Numerous individuals are posting that they received an email from Ruger for an LC9 (spec sheet). 9mm ultra-compact firearm for MSRP $443. It looks pretty nice. I wouldn’t mind having one as I like the added safety (something lacking on the LCP). But I must say, I was hoping for a 2011. UPDATE: Just noticed it’s got a loaded chamber indicator, along with the safety. So this might be a California legal firearm. UPDATE 2: Michael Bane has a preliminary review. And a photo comparing the LC9 to the LCP. Fairly big step up, but still quite compact. This is the announcement that has us most excited for 2011- at 2 PM today we will be publicly launching the LC9 Compact Pistol. This highly requested pistol was developed through Ruger’s Voice of the Customer program and incorporates the features and rugged reliability desired by Ruger customers. 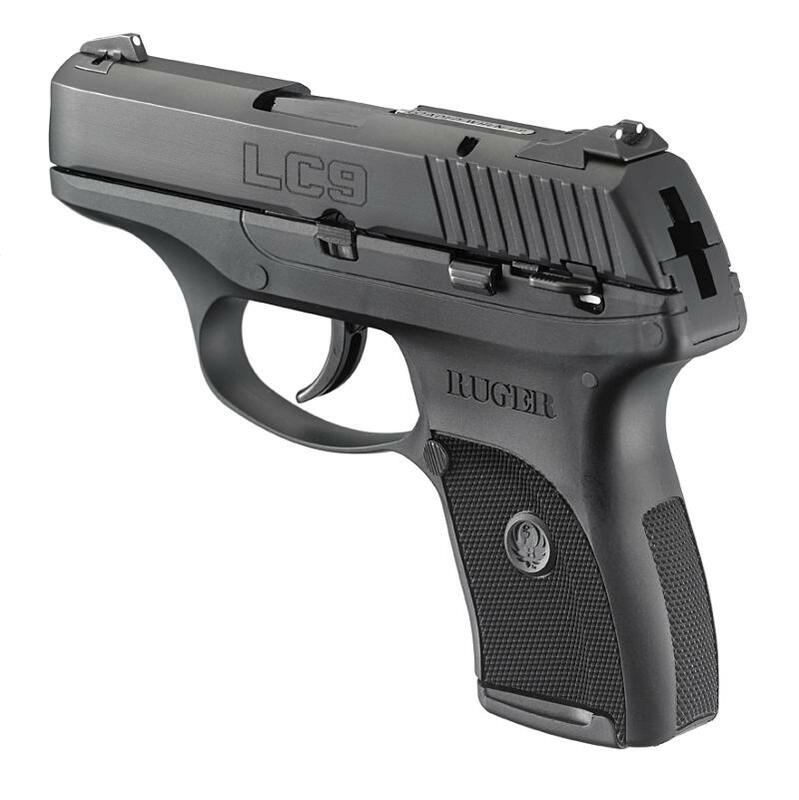 The LC9 is compact, powerful and perfect for personal protection – it is just slightly larger (less than 1” in both height and length) than the popular LCP, fires 9mm Luger and has a 7+1 capacity. The LC9 features a finger grip extension floorplate, dovetailed, high-visibility 3-dot sight system, manual safety and a patented loaded chamber indicator. The LC9 has a 3.12” barrel, is 6.0” long and 4.5” tall, making for a very compact 9mm pistol. The LC9 is impressively narrow at a mere .90” wide, and weighs only 17.1 ounces with an empty magazine. Featuring a black polymer (glass-filled nylon) frame and blued alloy steel slide and barrel, the lightweight, full-featured Ruger LC9 offers the versatility and capability of the popular 9mm cartridge in a highly compact, reliable, and user-friendly pistol. The LC9 is a double-action-only, hammer-forged, locked-breech pistol with a smooth trigger pull. Control and confident handling of the Ruger LC9 are accomplished through reduced recoil and aggressive frame checkering for a positive grip in all conditions. The Ruger LC9 features smooth “melted” edges for ease of holstering, carrying and drawing. One seven-round, single-column magazine is provided with each LC9 pistol. The magazine’s standard flat floorplate aids concealability, while the provided finger grip extension floorplate offers an option to shooters who prefer a longer grip surface with more hand-to-pistol contact. Seven-round magazines, holsters and other accessories are available for purchase at ShopRuger.com. The Ruger LC9, is undoubtedly the next firearm that firearms enthusiasts absolutely MUST own and is available for orders from your distributors today (product shipping February 1, 2011). We will be launching to consumers at 2:00 PM today, please contact your authorized Ruger distributor for more information. Welcome back, let’s kick 2011 off with a bang! There is an adage I’ve heard since entering the gun community. If you carry, always carry! Today we have a tragic reminder of this fact. Today, a deranged man, (George Sodini), who had social problems and a lack of female companionship decided to enact revenge (as he perceived it, against the entire female species). He went to an L.A. Fitness gym, entered a room with a duffel bag and pulled out a rifle. Three people were murdered, and several others injured before the shooter shot himself. This is cause for much reflection. You see, I myself, bring my firearm to the gym but tend to leave it locked up in the vehicle. This is not an uncommon practice among those who CCW. Keeping their firearm in their vehicle or locker. But is it the “right” action? Are we creating a self-imposed “gun free zone” with such actions? I believe this man knew that no one in the gym, even those who carry most everywhere, would have likely not be carrying inside the gym. A for this reason, and the fact that he knew there would mostly be women in the location, chose the gym as his rampaging grounds. If you carry, carry everywhere! It is something that I am trying to learn and ingrain into my practices. In fact, the last time I went to the gym I actually took my wife’s LCP in a pocket holster. It wasn’t the most comfortable situation, but it was workable. Now I am all the more affirmed for the need to do so. And for those who dislike mouseguns. Maybe you need to reconsider whether you should be investing in a $200-$300 Keltec or Ruger mousegun for the gym. Lastly, if in such a situation, remember that thinking quickly and being aware of your surroundings can make a life or death difference. For example, free weights are heavy flat lumps of metal. A large free weight disc would be large enough to provide protection to the critical center torso/head areas. Thinking quickly, and being aware of your surroundings and any potential tools that can aid you can make the difference between surviving and not. Whenever you enter any facility, be it a gym, restaurant, or grocery store. Take a quick survey, assess where the exits are, note potential objects of cover or concealment, and potential make shift weapons. For example, most Walmarts sell compact bows and hunting arrows, some even sell rifles. Knowing where the sporting goods section is located is always a good bit of knowledge. The perpetrator had been planning this event since last year. Such gun control policies as “waiting periods” would have been entirely ineffective at stopping such a rampage. His website stated that he originally was intended to conduct this attack after the elections. (He wanted to know who won.) And that he even brought the rifle in the duffel bag to the gym in December. But lost the nerve to commit the crime, only to do so over 6 months later. UPDATE: I thought I’d add some commentary on how would one act in such a situation, or how do I think I’d act in such a situation. I shared a little of this in a comment. But it’s probably only fair to post it. Gymnasiums pose a very difficult challenge in carrying. You’re attire is far from designed to do so. Furthermore, your working out on a physical level in which carrying would equate to added cumbersomeness and uncomfortability. So what would or could someone do in a situation like this. Man comes in, turns off the lights and begins shooting. The first thought that comes to mind is did I do what I should have upon entering? Did I remain in condition yellow (alert and aware). Did I make sure upon entering the room that I knew where all the exits were? The lights turned off is both a disadvantage and an advantage. While it adds to the chaos, it also provides some concealment for those fleeing. I do not know if it was total darkness or not. That said, the muzzleflash of the rifle would do two things. First it would reveal the shooter’s position, enabling to avoid the shooter if at all possible. Second, it would also likely blind the shooter or at least destroy his night vision. Further increasing concealment potential. So what would I do. I really don’t know, I wasn’t there. Some options I think that I’d consider would be to lie on the ground prone. In hopes that the shooter assumed I was down. And if he approached and closed the distance between himself and I and/or I had a clear shot. Take it. This course of action would likely only add to my protection, and not the protection of everyone as a whole. The second course of action I’d probably consider was to use the darkness and endeavor to make my way to an exit, and or flank the shooter. And if I could come upon him from an angle unaware, attempt to take him down. One other thought that comes to mind when reading that there were free weights. If I were unarmed, and a free weight was within reach. I’d probably grab one and use it as a shield. At least to protect my critical vital regions of torso/head area. I’d like to say I was just smart enough to avoid the entire situation. Pick a gym that didn’t have any wackos. But truthfully, this is one of those cases in which you just can’t really forsee. It could have easily been a swimming pool rather than an aerobic workout class. What then….I know some people swear by their Glocks tennifer coating. But even I think that’s not a realistic option. Everybody has to choose for themself what is a reasonable course of action, and an acceptable element of risk. Today my wife and I had a chance to leave the little one at Grandma’s and head off to the range. It was a gorgeous sunny day, albeit extremely windy. Brought with us our Ruger MK III Hunter, the Mrs. Ruger LCP. I also tried out a cheap little dual reflex / laser sight, which I mounted to our MK III. Mixed thoughts on the reflex. I found it easy to shoot. But the unit seemed defective. The red reticle disappearing periodically only to reappear upon firing another shot. I will have to contact the manufacturer. Kind of bummed, as this is the unit I picked up at Lancaster Friends of the NRA dinner’s silent auction. Accuracy was decent when the unit worked properly. I decided to give it a try and really focus on the method of sighting and aiming and to take my time firing. I did very slow relaxed trigger pulls. You should have seen my surprise when I put all 6 rounds in an approximate 2 1/2″ group @ 25 ft. I was rather flabbergasted as I don’t usually do that well even with my carry gun that I practice with much more often. In fact, I probably only achieve that with my MK III. Of course I felt bad, as here I was trying to figure out the best way to sight it in and be an example to my wife. And I come off with what was a near perfect group for me. Wasn’t trying to show her up. *lol* This also really woke me up to just how extremely accurate the little Ruger LCP is. I am not a very experienced shooter, while I am learning. A 2 1/2″ group @25ft is pretty extraordinary for me. To get that out of a lightweight short mouse gun is just simply amazing. Thankfully, when it comes to shooting, my wife and I have a great relationship. I always read (both in books and online) “Don’t teach your spouse!”, etc, etc. But surprisingly we have next to zero conflict in this area. Anyways, while we were out at the range I took a couple of short videos which I’ve posted below. Don’t know about you. But I think this would be a pretty cool two gun set. With both handguns having matching serial numbers series. And it’d be really cool if they came in a small custom “pelican” style waterproof case. NOTE: This is NOT the 2010 Gun of the Year. I am just insinuating that it’d be a pretty cool combination to see as next year’s gun of the year. 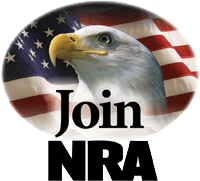 Maybe we can talk Ruger/Friends of the NRA into it.